Join the Street Fit Family! Our Recent Street Fit Graduates! Street Fit is really proud of the fact that our graduates are out there working in the fitness industry and earning their living as Street Dance Fitness instructors. You can find our Street Dance Fitness instructors running their dance fitness classes up and down the country in gyms, dance schools, local councils and even TV! 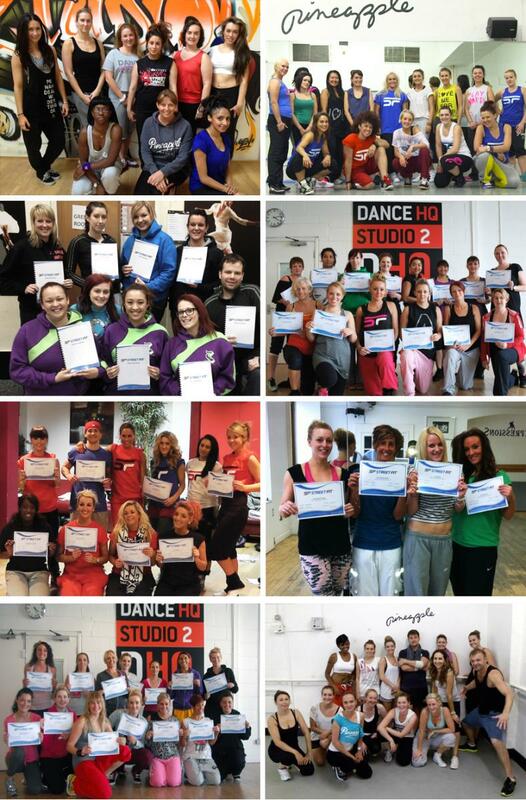 Below is some of the pics of those that have recently completed the Street Fit instructor training day. To join the SF family of graduates book any street dance fintess training course today! Dates and locations of upcoming Street Fit training Courses can be found at the bottom of the page.. The Street Fit Workout is designed to be simple to teach, with more complex movements being introduced as your class’s performance and fitness levels increase. One of our secrets is in our choice of street dance moves, carefully selected to target key areas of your body for a total workout.